As all other major camera manufacturers have jumped on the full frame mirrorless bandwagon, Olympus stayed true to their specialty and released yet another micro four thirds mirrorless camera: the Olympus OM-D E-M1X. There was a lot of excitement surrounding this camera, as the world waiting to see what Olympus's next move would be and now that it has been released, many people have been left scratching their heads. With the official release by Olympus only hours ago, we now have enough information to let you make your own decision. Olympus's current E-M1 MkII has proven to be a very popular high-quality camera, leading the micro four thirds mirrorless charge with its superior image stabilization, fast autofocus and 4K video capture at the top of a long list of highlights. The arrival of big brother E-M1X, with its drastically different design and some impressive tech, proves that Olympus is willing to innovate and adapt to a rapidly changing camera climate. There are plenty of new features that make the E-M1X a more impressive camera and we will outline them here. 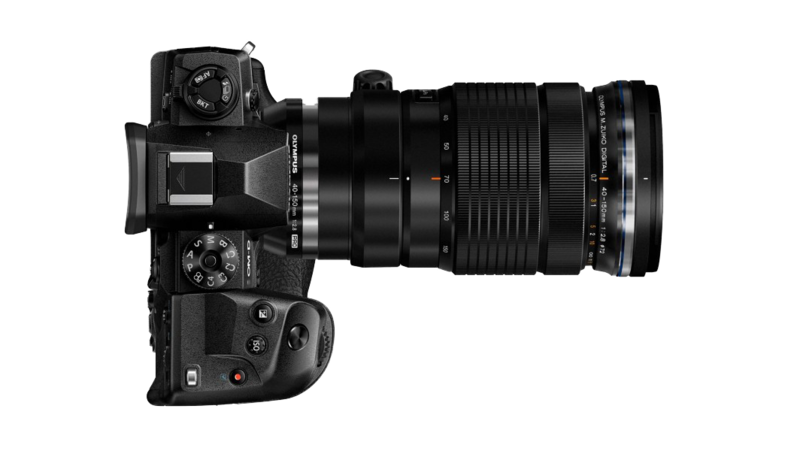 Obviously, with the addition of an integrated vertical grip, the design of the E-M1X is quite different from the E-M1 MkII. The benefits of this, as explained above, range from ergonomics, comfortability, and a 200% increased battery life. 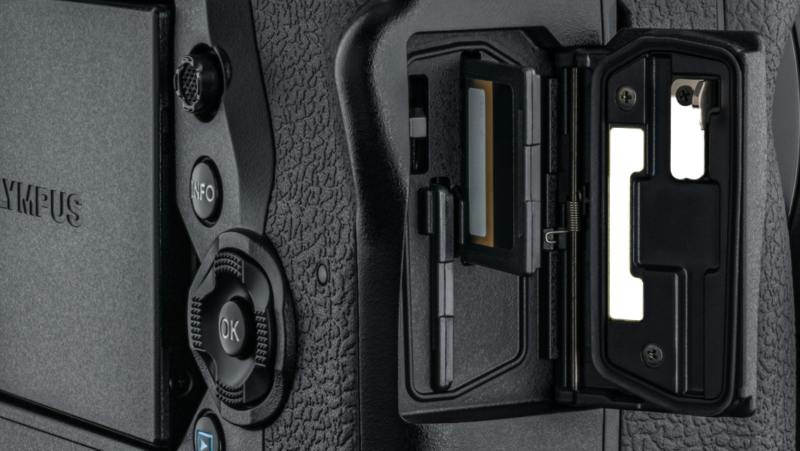 The design mirrors that of the Nikon D5 and the Canon EOS-1DX MkII, which gives you an idea of exactly who Olympus is trying to compete with here. With Sony, Canon, Nikon and Panasonic all competing over the full frame mirrorless game, it appears that Olympus took a strategic move and decided to target Nikon and Canon's monopolized DSLR industry instead. Olympus is known for their image stabilization and that was certainly a perk of the E-M1 MkII. 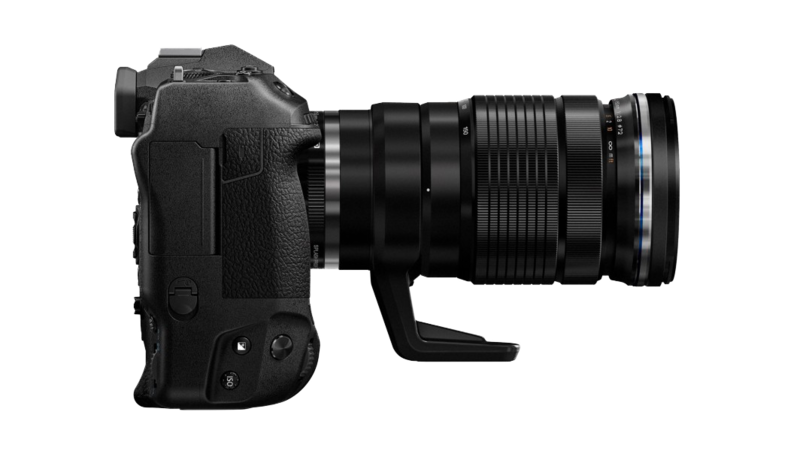 The E-M1X even further advanced their image stabilization technology. 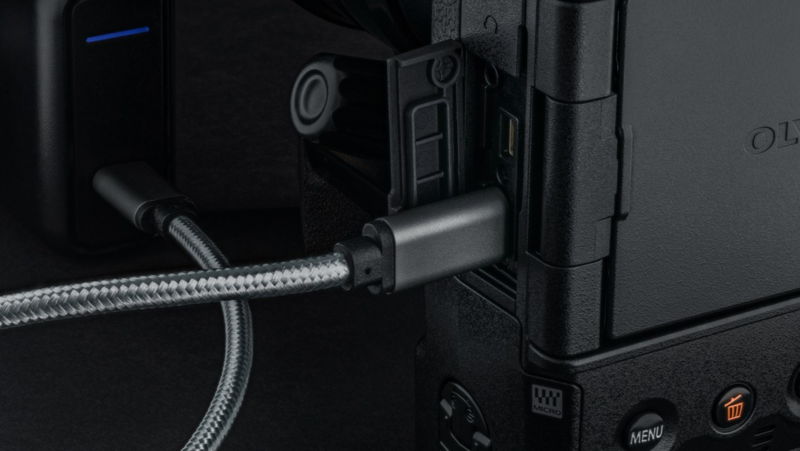 While the E-M1 MkII featured an impressive 5.5-stop image stabilization system, which was already one of the most capable systems of its kind, Olympus claims that the new model boasts up to 7-stops of compensation over using a non-stabilized setup. The new E-M1X has the ability to shoot 60 fps sequential shooting in RAW with AF lock! This truly sets Olympus's new EM1X apart from all other mirrorless or even DSLR cameras. The E-M1X can even shooting 18fps sequential shooting in RAW while AF tracking. These sequential shooting speeds leave other new camera models in the dust and the Olympus E-M1X will likely be the fasted camera on the market. The E-M1X is truly the best in its class for shooting high speed action photography. Live ND Mode is another special addition to the new E-M1X, as never before seen in an OM-D model. Instead of using external, physical Neutral Density filters to allow slow shutter speeds in bright environments, this newly integrated technology blends multiple images in camera to make it appear as though a slow shutter speed has been used. This will likely not make physical filters obsolete, as the Live ND Mode does not compare to the versatility of physical filters, however this will surely prove to be a handy and exciting feature to use. The E-M1X also now offers a Handheld High Res Shot capability which outputs images at a resolution far beyond what would normally be allowed by the pixel count of the sensor. The E-M1X incorporates a 20.4MP sensor, but when using the High Res Shot the camera can output images as if they originated from a 50MP sensor. High Res features are not in any way "new" to the mirrorless realm, however, most of these technologies require a very sturdy tripod to get crisp images and the ability to shoot High Res handheld is quite impressive. Furthermore, if you're happy to use this older tripod-based option (as featured on the E-M1 MkII), you can bump the megapixel count to a whopping 80MP. There are also some brand new Autofocus settings that promise to be an improvement to the E-M1 MkII. Namely, the E-M1X features a new AI Powered Intelligent Subject Detection AF option which claims to detect and lock focus on different types of subjects in a way not previously possible. The example Olympus gives is when shooting Motorsports, whereby the system will recognize the type of subject and adjust focus, locking onto a driver's helmet. Artificial Intelligence is not new in photography, but this is definitely an exciting improvement to the E-M1 MkII and will be highly useful to the kind of photographer at which the model is aimed. It would be inappropriate to review Olympus's brand-new OM-D E-M1X without mentioning it's strange design. "Big camera? Small sensor? GREAT! ", you might be saying. Most people are not, however, and are wondering why Olympus made the decision to permanently integrate the vertical grip. The OM-D E-M1X is comparable in size to Canon's 1DX, one of the largest DSLR cameras on the market. The difference however, is that the 1DX has a large, mechanical, full size sensor and the E-M1X has a smaller, electronic, micro four thirds sensor. As the trend in camera technology tends to be creating smaller, more compact cameras with large, full size sensors, Olympus's decision to go the other direction is, indeed, perplexing. BUT it is not the end of the world for Olympus and many people will love this new design. 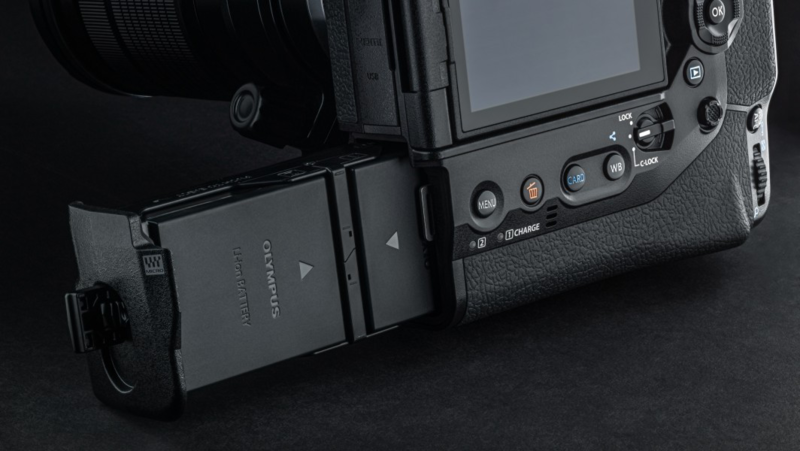 The external vertical grip add-on for the E-M1X's predecessor, the E-M1 MK II, was an excellent feature for top-side photography and drastically increased the camera's ergonomics, comfortability to hold, and doubled the battery life. So with the popularity of this feature, it makes sense that Olympus would simply integrate this into their new camera. What Olympus must not have realized, however, was that Olympus users also very much enjoyed the ability to remove the vertical grip when the smaller, compact Hallmark of Olympus cameras was more practical. The vertical grip truly does make it feel more secure when holding the camera and prevents your hand from getting tired thanks to a deep finger rest. Because of this you can shoot for hours without feeling the need for a tripod, making this a great camera for professional sports and action photography. The E-M1X is arguably the best feeling mirrorless camera on the market and feels like the best of Canon and Nikon DSLRs in a single camera. The ergonomics of the vertical grip are also not to be understated. The vertical grip allows you to flip the camera to portrait mode with the shutter and settings dials located in the same, natural feeling location. This would be a highly favorable feature for the portrait or wedding photographer. Not to worry, there is also a C-lock switch on the grip that disables the portrait mode shutter and dials so that you don't accidentally hit these functions with you palm when shooting normally. Furthermore, the vertical grip houses 2 of Olympics’ batteries, which doubles the battery life of it's predecessor, the E-M1 MkII. The top of the camera features a very similar control setup as you would find on the E-M1 MkII and other previous OM-D models. However, as this camera is designed for professionals, there is no Automatic shooting mode available with the E-M1X. There are some dedicated control buttons on the top of the camera body that are used in conjunction with a dial of some sort. 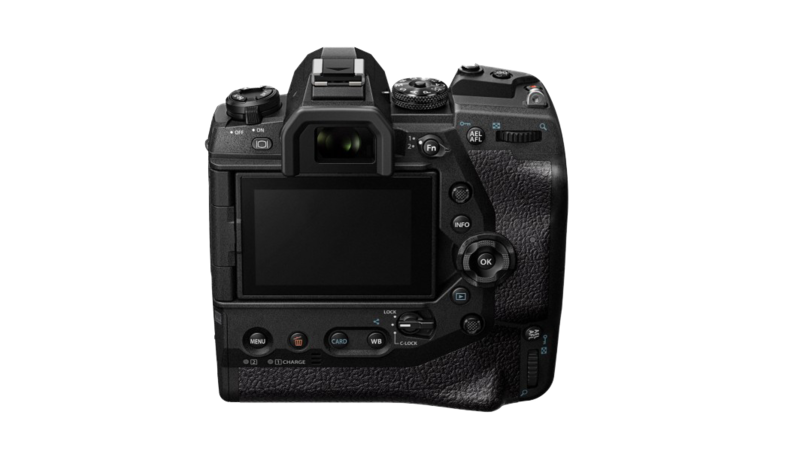 You will also find a dedicated ISO button, video record button, exposure compensation, hot shoe, playback, EVF settings, joystick and other customizable function buttons. Another amazing quality of the E-M1X is its weather sealed durability. Durability is another hallmark of Olympus and they have continued to improve upon it with this new release. The -EM1X can truly withstand a beating. You could roll it in the dirt and clean it off with a hose if you wanted to. 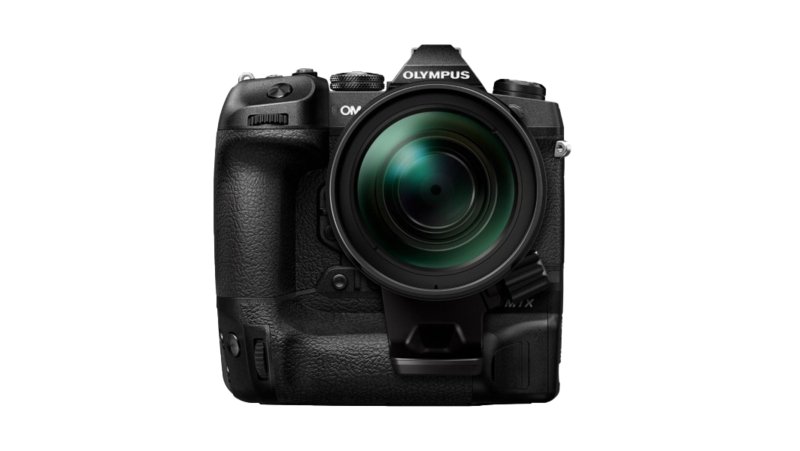 The Olympus OM-D E-M1X is super well sealed with an accordingly well sealed lens. The lens port is highly protected, and you need to lift a switch then turn the lens to open the mounting doors. 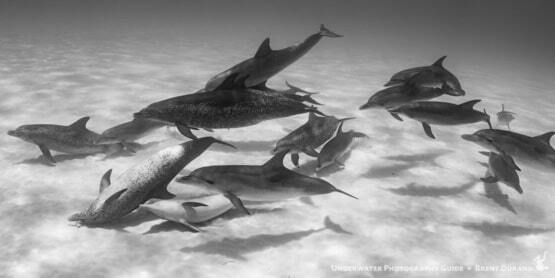 It will be interesting to see how often the E-M1X is used for underwater photography. 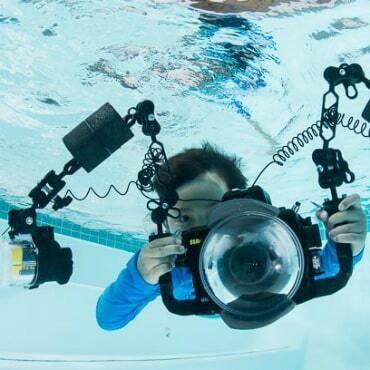 Although this camera was certainly not designed with underwater photographers in mind, there is no suggestion that this will be a sub-par underwater imaging system. It's predecessor, the E-M1 MkII, was an enormously popular camera for underwater photography due its lightweight, compact, affordable characteristics while outputting high quality, high resolution underwater images. The processing power and image quality of the E-M1X is everything that the E-M1 MkII is, except largely improved upon and housed in a larger camera body. In other words, if you liked the technology of the E-M1 MkII (or any other OM-D models), then you will like the E-M1X even better. 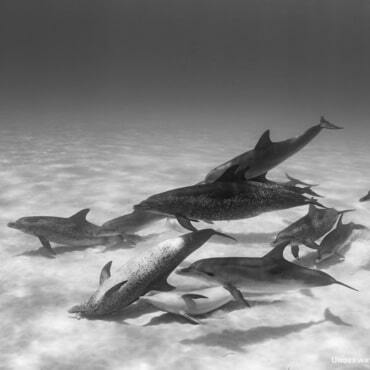 While the E-M1X may not be the first choice for someone purchasing a camera mainly for underwater photography, it will translate wonderfully to the underwater world if you are already using it for top-side purposes and provides capabilities for underwater photography that no other camera can provide (namely its fast shooting speeds). The reason the E-M1X would not be a sensible choice for strictly underwater photography is simply due to the size of the camera. 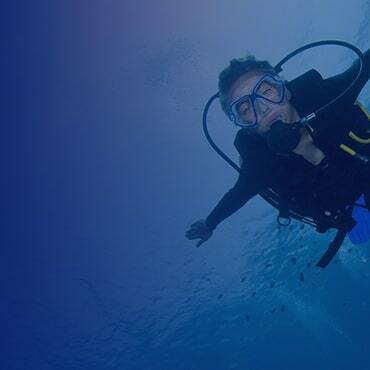 Mirrorless and micro four thirds cameras have recently been the most popular cameras for underwater photography due to their smaller, lightweight size. The small and lightweight features allow the camera housing to use less material (aluminum), which makes the whole system cheaper, as well as provides favorable qualities for traveling. 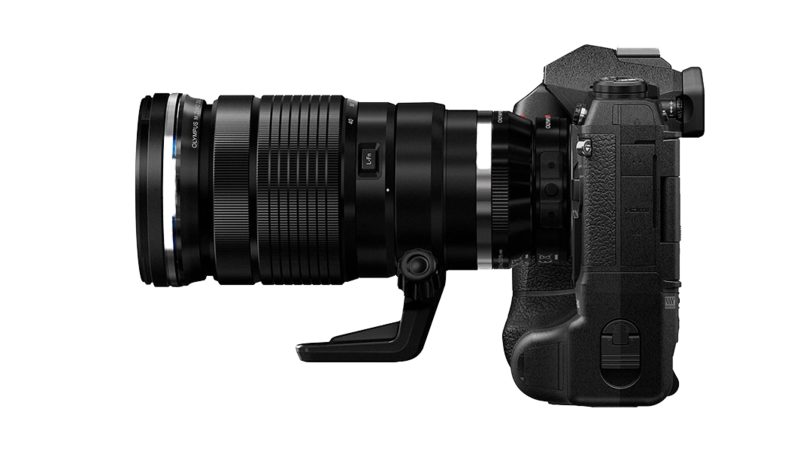 The E-M1X, with its large format DSLR body, will require a much larger camera body as compared to the other OM-D models or other mirrorless cameras. This means the housing will be more expensive and it will be heavier and larger to travel with. Still, it would function just as well if not much better than other micro four thirds mirrorless cameras. Also, the E-M1X with its 60fps sequential shooting speed might just be the perfect choice for an underwater project that requires you to capture high-speed moments in the blink of an eye. If you will already be using the OM-D E-M1X for top-side photography or video, you are not confined by a strict budget, or you need to capture a super-fast animal behavior, then this will be a great camera for you to use underwater! As usual we expect all the top housing manufacturers to create a housing for the new Olympic OM-D E-M1X camera. 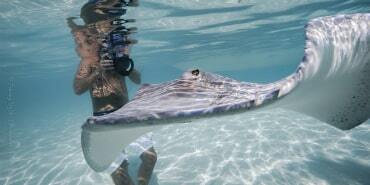 Typically, we see announcements and releases from Ikelite & Nauticam first, followed by Aquatica and then Sea & Sea. With a camera release date of late February, we expect to see the first housings available in mid 2019, with others releasing at the end of 2019. 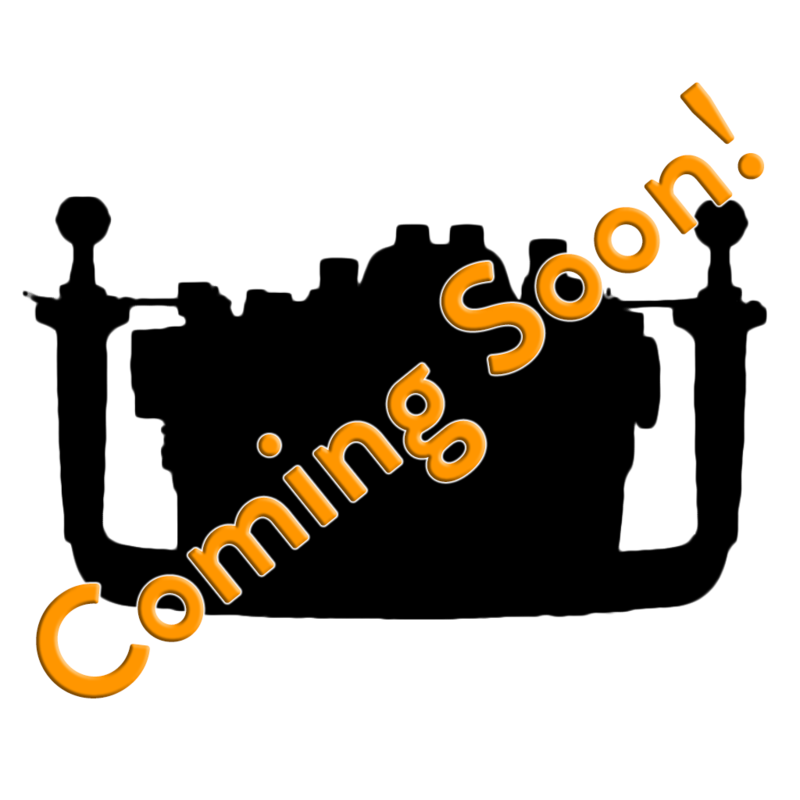 Check back for updated information as soon as we have it! 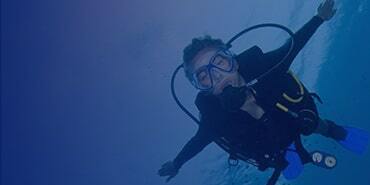 Get Excited for the Panasonic Lumix S Series!